Over the weekend, Google began rolling out AdWords credit cards to small businesses in the UK. As a small business owner, you’re likely juggling several different accounts across different credit cards for various expenses. Google hopes this card will provide enough financial flexibility so you can promote your business. AdWords Business Credit will have a variable 11.9 percent APR Representative in the UK, and will offer an APR as low as 8.99 percent in the U.S. 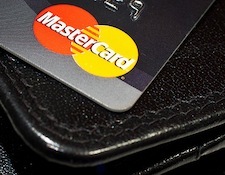 Neither card will have annual fees and both will have an “ample” credit limit. The company initially piloted AdWords Business Credit — a credit card used only for AdWords purchases — in the U.S. with more than 1,400 businesses from a variety of industries. The pilot seems to have been a success, as 74 percent of participants now use the card to pay for AdWords. Businesses in the UK can apply now for the AdWords Business Credit card. Google plans to extend more invitations for the U.S. later this month.